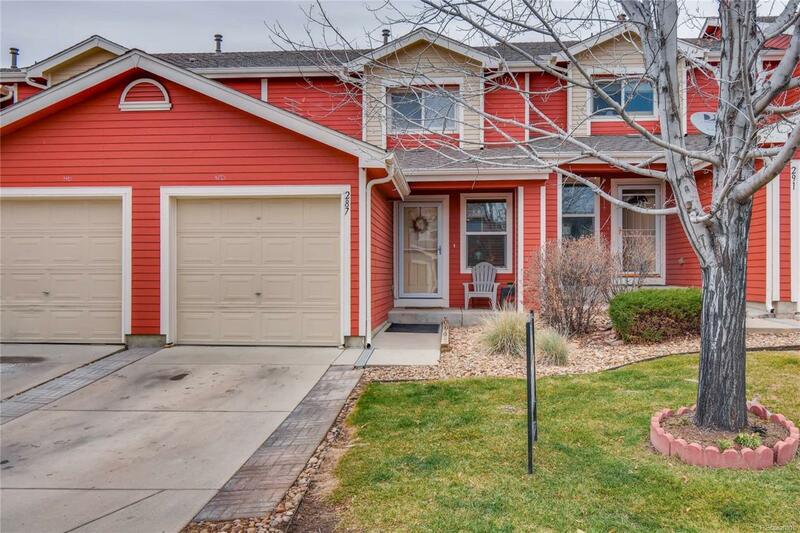 BEAUTIFUL 2 STORY TOWN HOME IN THE SOUGHT AFTER GRANDVIEW NEIGHBORHOOD IN ERIE. 2 BEDROOM 2 BATHROOM WITH A 1 CAR ATTACHED GARAGE WITH AN OPEN FLOOR PLAN. CLOSE TO COAL CREEK TRAILS FOR BIKING AND HIKING , MOUNTAIN TERRAN PARK AND DOG PARK NEAR BY.CLOSE TO LOTS OF AMENITIES AND DOWNTOWN ERIE, WALKING DISTANCE TO THE CHILDREN PLAT GROUND/PARK AREA AND OPEN SPACE, MOUNTAIN VIEWS, EASY ACCESS TO I-25, WASHER AND DRYER ARE STAYING HAS A/C UNIT AND A SMALL YARD AND PATIO FOR YOUR PET. MASTER BATHROOM. Offered by The K Company Realty.